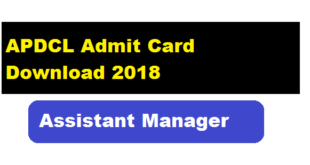 If you have applied for APDCL Assistant Manager post and looking for Admit card Download Link for APDCL Exam to be held on 25th November then you are at the right place. In this article we will provide you step by step guide on how to Download Admit Card for APDCL Exam 2018. 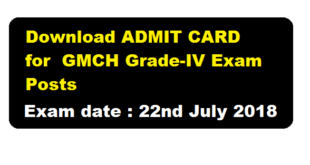 Admit Card Download For GMCH Grade-IV Posts (Exam is scheduled on 22nd July 2018) : Admit card for recent GMCH Grade -IV Posts is now available for download.